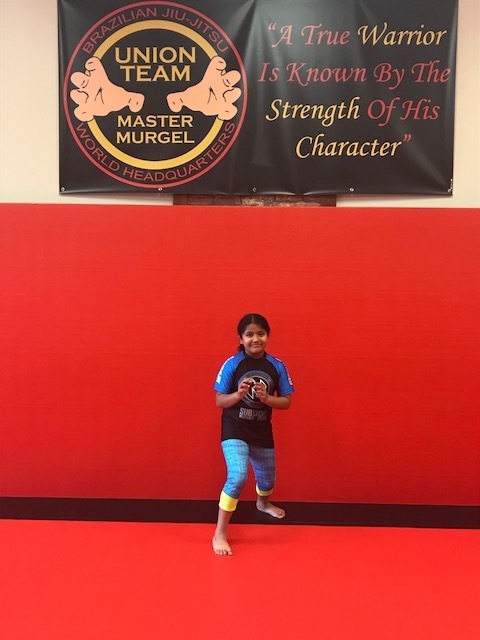 Meet our Young Female Warrior, Isha, age 9. She's a fierce competitor and all around great energy to have in class. I had the pleasure of interviewing Isha recently to discuss her thoughts about Brazilian Jiu Jitsu (BJJ) and life as a young female Jiu Jiteira. What is your favorite submission? Cross choke because it's easy to do. What is your favorite part of training BJJ? Learning Submissions, especially from the guard. What do you do for fun? Play with my brother and practice jiu jitsu with him. What are your Jiu Jitsu goals? Learn more takedowns. What has Master Murgel and Coach Nick taught you here at our school? NEVER QUIT! What other sports do you like? *Basketball and I used to do Gymnastics.